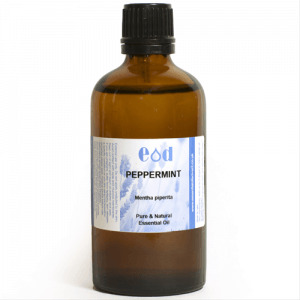 100% Pure and Natural Peppermint Essential Oil - Suitable for use in aromatherapy blends, candle manuacture or inclusion in cosmetics subect to approved safety levels. Mentha Piperita Oil is the volatile oil obtained from the whole plant of the Peppermint, Mentha piperita (L.), Labiatae. Botanical Origin: Mentha Piperita Oil is the volatile oil obtained from the whole plant of the Peppermint, Mentha piperita (L.), Labiatae.